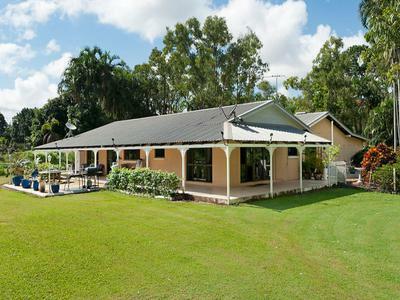 opportunity to enjoy the spaciousness and beauty of a rural property close to all the facilities Darwin has to offer. 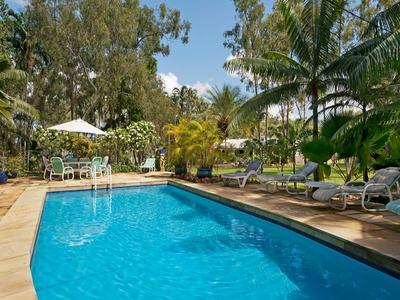 Set on 5 ½ acres of native and tropical gardens guests are welcome to relax in the lounge, read a book from the library, walk in the extensive grounds, enjoy the abundant bird life or take a dip in the 13 metre in ground pool. 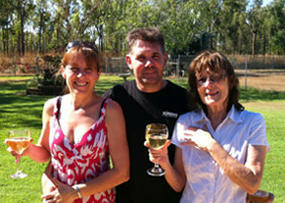 A bird watchers paradise with over 60 species recorded. 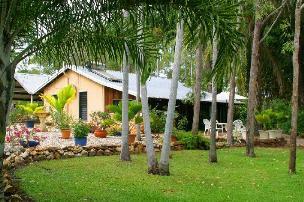 The peaceful gardens, relaxed ambience and warm hospitality combine to create the perfect getaway in paradise. We have 2 tastefully decorated queen rooms in the Bed and Breakfast Lodge where you can start with a fresh tropical breakfast on the verandah each morning. The Grungle Downs Cottage is spacious and completely self-contained with quality furnishings and is an ideal space for families and pets are welcome.